There is nothing worse than a garage you can’t walk into. Worse than that, a garage you finally CAN walk into… but you can’t find anything! Well, that’s where Velcro® Brand Industrial Strength tapes come in. You can now create your own peg board system without the hassle of even using a single tool to put it up! 1. Clean and dry your wall surface before application, especially if your walls are dirty or have a layer of dust. 2. 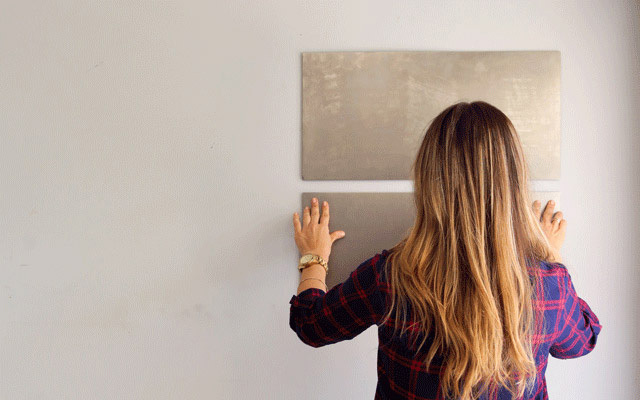 If you want to hang metal sheets for decoration, apply VELCRO® Brand Industrial Strength Tape to the back of the sheet, and then to the wall where you want to hang the sheet. It’s a great way to add some flair! 3. 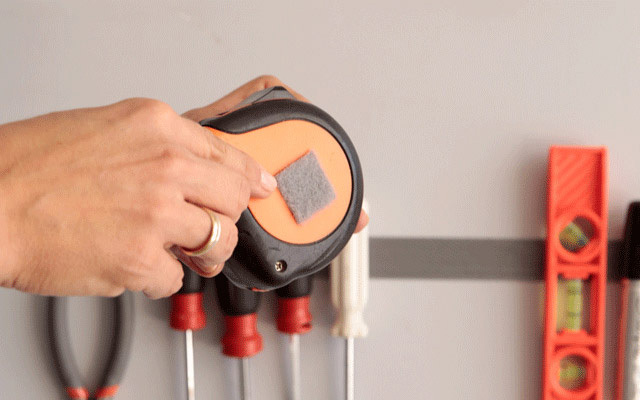 Peel away the backing from the hook side of a strip of tape and place it in the exact location you want the tool to be displayed in your garage on the wall. 4. 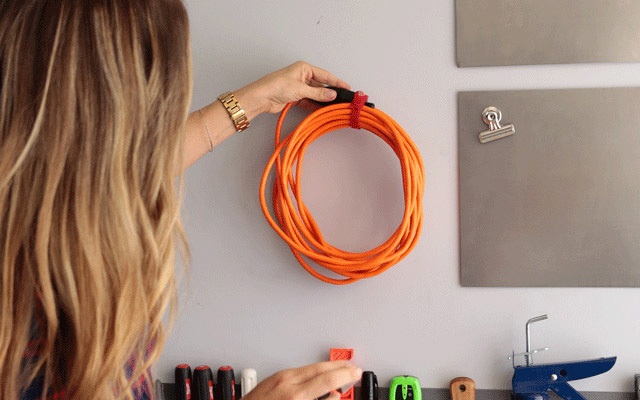 Peel tape from the softer loop side of the fastener and press it firmly to the desired tool you want to hang. This works best when the tool’s surface or handle is flat. 5. Hang the tools on the wall where you want them. 6. 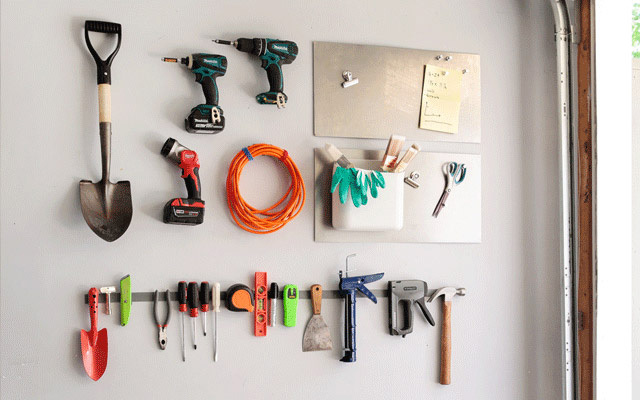 You can also use fasteners to hang tools on the wall or metal sheets individually. 7. 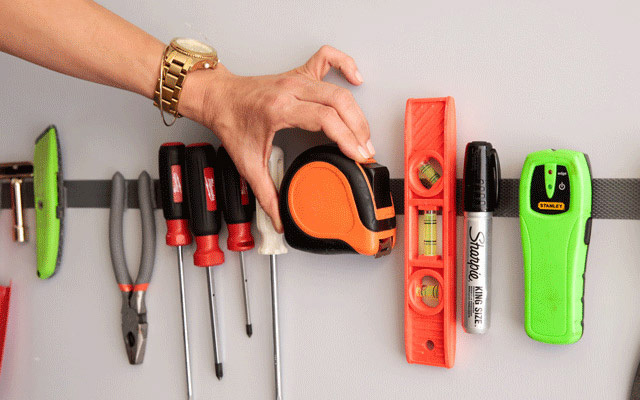 Repeat until all tools and gadgets are perfectly arranged and organized for easy access! Please note, the adhesive fasteners reach maximum sticking strength after 24 hours.